There’s a new steakhouse in town, Boulevard Grill HCMC. 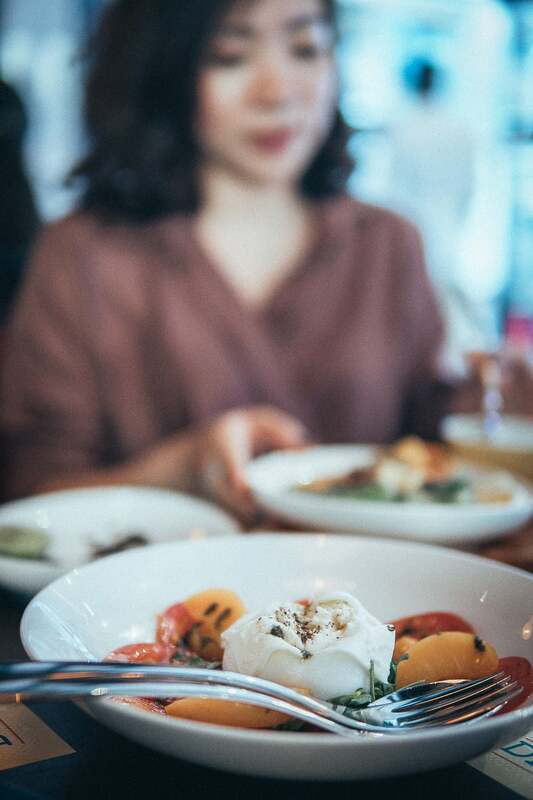 Located in District 3, the restaurant’s philanthropic business model has them cooking up more than just their trademark Australian grass-fed T-bone and wagyu beef jerky. That’s because through the restaurant’s “Dining for Giving” program, Boulevard Grill HCMC are also connecting with non-profit organizations in the city by donating a proportion of their sales to help the underprivileged, and to support sustainable development projects in Vietnam. 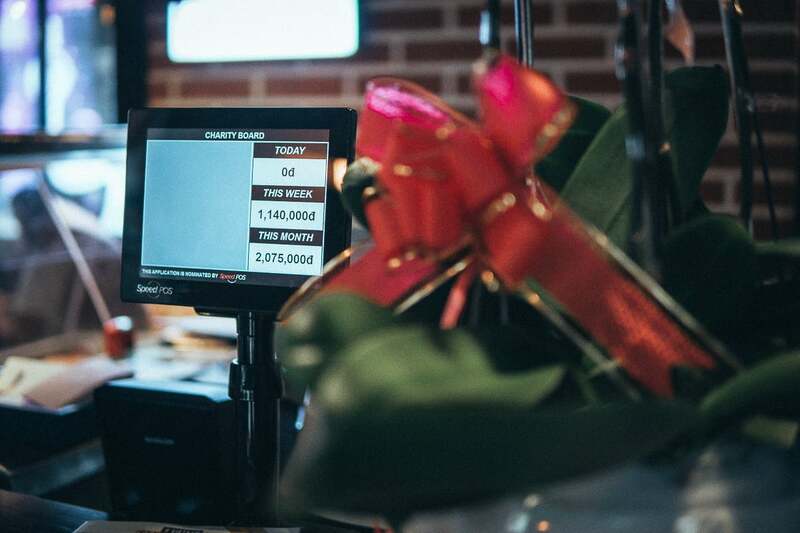 They donate a proportion of their sales to organizations like Life Project 4 Youth—a process made possible by a company we previously covered, Speed POS, and the system they specially customized for the Boulevard Grill HCMC. Always on the search for inspirational local stories, Vietcetera headed over to 22 Truong Dinh on the ground floor of the Leman Luxury Building to learn more about this heartfelt strategy…and also to test out their Australian steak with chimichurri sauce lunch set. How did the idea for this steakhouse with a heart come about? We’re all foodies. And sometimes it can be a struggle to find affordable, quality steak in Ho Chi Minh City. I guess that’s how it all started! We also realized that opening a restaurant could be the perfect platform to raise funds for local charities across the country. To be honest, making money was the last thing we were worried about. Instead, we just wanted to follow our passion and do the right thing, and luckily everything just kind of fell into place. 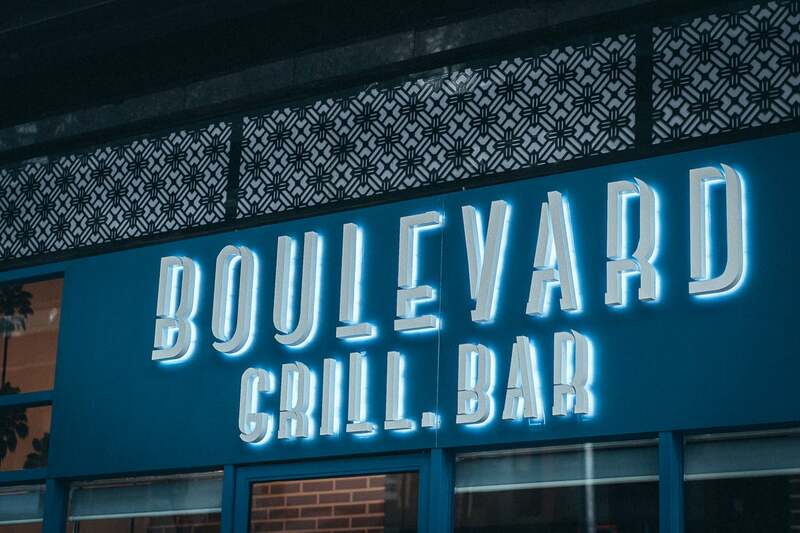 Tell us about Boulevard Grill HCMC’s concept? What is your recipe for success? Steak is usually seen as fine dining, with the kind of high prices you would associate with that experience. But this isn’t what Boulevard Grill wants at all. In order to keep prices affordable, we partnered with The Butcher (Dinh Phong). They offer premium cuts from Japan, the USA, and Australia, and for a really reasonable price. The aim is to provide an opportunity for everyone to enjoy amazing food without breaking the bank. We’re not trying to be like El Gaucho. For most people, places like that are just not affordable, especially if you have a family. Our team is here to create an accessible alternative within the local steakhouse scene. Family and community are also at the core of our mission. 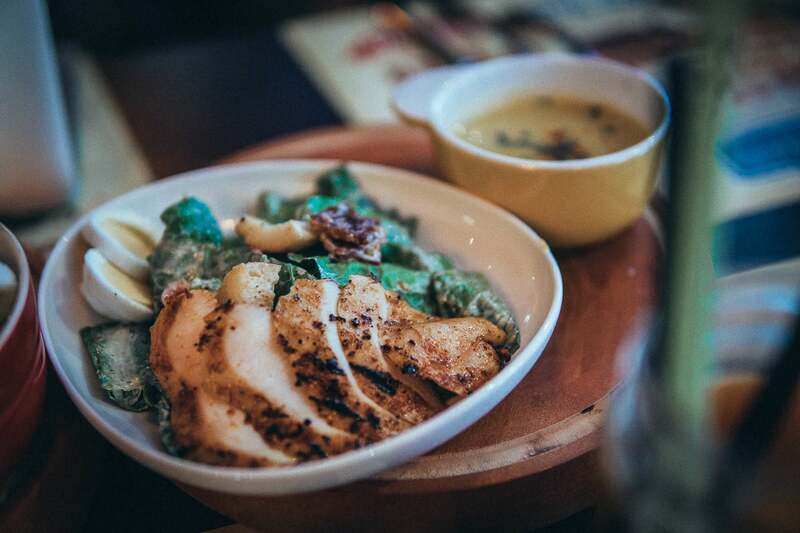 The Boulevard Grill HCMC was specifically designed to be a family-friendly establishment. It’s essential that the environment is a comfortable place for everyone. When we see a wide range of customers enjoying the food and having a good time it makes us feel alive. It’s a really rewarding experience for the whole team. Tell us more about your “Dining for Giving” campaign. When it comes to making donations to charity, I think we’re all guilty of saying “I’ll do it later”—but “later” often never happens. Or many of us put it off and plan to contribute when we are more financially stable. But why not now? You don’t have to break the bank. Every contribution helps no matter how large or small it is. Boulevard Grill HCMC is the first platform for the Dining4Giving project, and we’d like to inspire more food and beverage establishments to adopt our giving back campaign. How does it work? Which charities have you chosen to support? These days charities are looking beyond simply providing financial support. Many are looking to equip the recipients of their aid with a specialized skill set. This strategy can be much more sustainable as it imparts an opportunity to develop life skills. Life Project 4 Youth is one organization we work with that has fully embraced this approach. Through their program, those in need are given a coach that will train them in a specific vocational skill before plugging them in to the related field. One of their projects teaches kids how to make lanterns. Once their training is complete, they can successfully enter the workforce and start to set up a better life for themselves. If you come to the restaurant, you will see one of the Life Project 4 Youth lanterns hanging in our dining area. It’s a feature that draws lots of attention. Added to that, our Facebook page is another way that the restaurant raises financial support. We run “Dining for Giving” campaigns on the restaurant’s page which have helped gather funds beyond the doors of the steakhouse. What impact do you hope this approach has? We are trying to impart a sense of community to our guests by shaping the restaurant around the charity and doing so with 100% transparency. The charity is our backbone and we hope that other food and beverage establishments will be inspired to follow our model for giving back. We really believe that together, we can join hands to have a bigger impact on local communities. When we walked in we saw that your point-of-sale system keeps track of how much money you have raised. Could you tell us more about that feature? We worked with Speed POS on this as there is a huge lack of financial transparency with many charities these days. For Boulevard Grill HCMC, it’s important that everyone knows exactly how much of their total bill is being donated. The more you spend at our restaurant, the more we will donate to our affiliated charities—you can see how that breaks down in our menu. Speed POS’s IT team did amazing work. We told them our vision, and they were really excited about it—they couldn’t wait to dive right in. They had never worked on a customization that logs charitable donations, but they were more than happy to adapt our system. It was also a very collaborative process and we felt very appreciative of their assistance while they valued our input too. We know it’s early to ask, but what does the future look like for Boulevard Grill HCMC? We’re determined to take this kind of unique dining experience outside of Ho Chi Minh City and into cities where they don’t have restaurants like this. Vung Tau is a perfect example. The food and beverage scene there doesn’t offer any kind of dining options similar to this yet. How serious are you about your steak? What if someone orders a nice cut and wants it well done? Or how about if they put ketchup on it? That would be very painful to watch, but they can do it if they want. Really, at our steakhouse, we only care about providing quality cuts of meat for a fair price. Steak etiquette isn’t that big of a deal to us.